Morrisons trial 20p paper carrier bags. Verdict - guilty! The UK's fourth largest supermarket chain, Morrisons, is to trial 20p paper carrier bags. Showing the prescience of Mystic Meg, the supermarket said reducing plastic was their customers' main concern. The price of food and the ability to carry it to their car and home coming a close 23rd. Last year Morrisons introduced small paper bags for fruit and veg, which resulted in customers buying smaller portions of fruit and veg. As their customers' priority was to reduce plastic, lose weight and save money, it would seem to be a win-win-win situation. Except for the supermarket. Morrisons will also trial increasing the cost of plastic carrier bags to 15p in a bid to make more money. The company said their customer's main concern was reducing plastic. Or paying more for it. Paper bags take three times more energy and produce more Co2 than the manufacture of plastic bags. The increased Co2 tax will, of course, be passed on to customers although as their main priority is to reduce plastic they will be happy to stomach the increase and resulting contamination of the ozone layer. Waitrose, the supermarket of choice for well-off students, people with more money than sense and the over-65s, said it was introducing 'home compostable' bags in a bid for the home compostable market. Environment Secretary Michael don't-turn-your-back-on-me-unless-you-want-stabbing-in-it Gove set up a plastic bag consultation but is struggling to find enough plastic bags that trust him enough to take part without getting their bottoms ripped out. 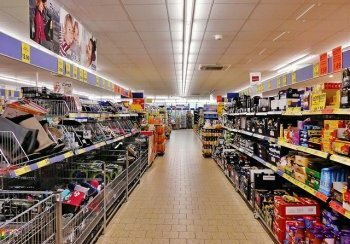 While Morrisons reported a rise in sales over the Christmas period, this was a slowdown compared to previous periods and the company lost market share resulting in its share price falling dramatically. A spokesperson blamed customers who didn't care enough about reducing plastic and who were "far too clever for their own good." Or the company's, apparently. When asked what they thought of the proposed charge, one Morrisons' customer said: "Sod the plastic. I'm off to Lidl's!" Prominent UK newspaper, The Sun, has this week decided it will no longer show the naked form of women on its third page, opting instead to feature ladies in various forms of undress.